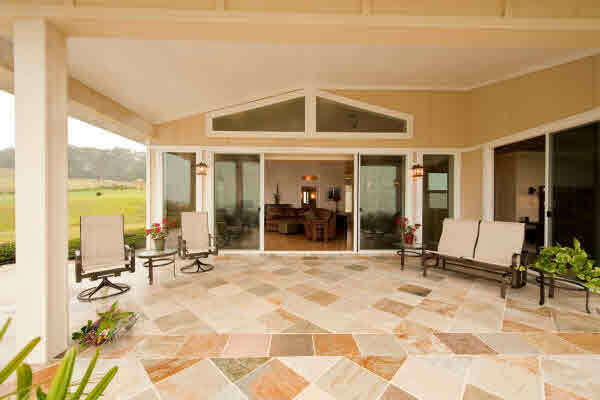 Look at this amazing lanai! You can see yourself relaxing here, can’t you? Their property has panoramic pastoral and ocean views. 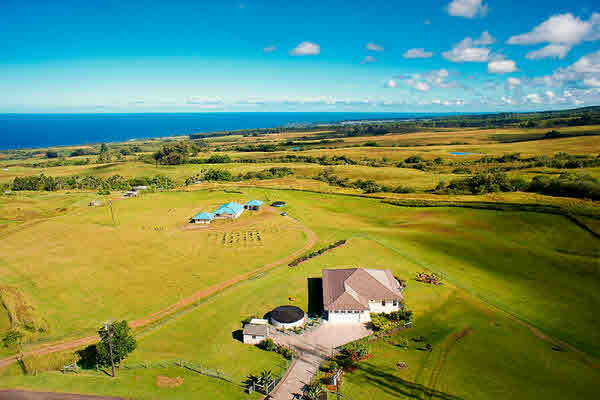 Just one acre to care for and a huge lanai overlooking the blue Pacific Ocean. This is a custom built home with the best of everything, and it is being sold “turnkey”—all you need to bring with you is your toothbrush. 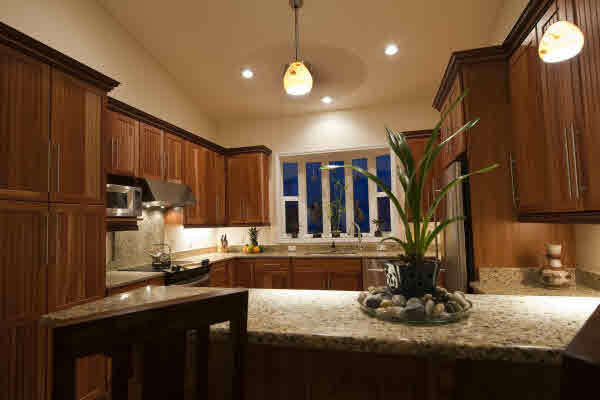 This custom kitchen is a cook’s delight! With privacy and seclusion galore—this is one listing I always enjoy going to visit. I know you’ll enjoy it as part of your Hamakua Coast life, too!